“It means everything to me,” Robert Reed says. It’s clear from the way that the special counsel talks about MinterEllison’s support of social responsibility initiatives that it has been a key part of his professional life. “Apart from the personal support I have received from the outset, it is just great to work in a firm with a strong commitment to community investment and corporate social responsibility,” he says. 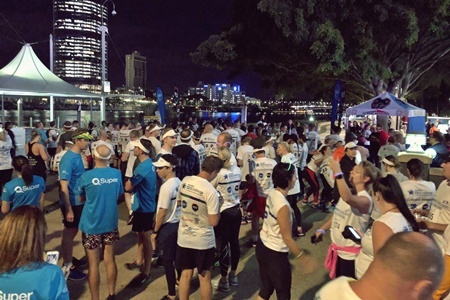 On a full-time basis for the past 15 years, Reed has coordinated the Brisbane office’s community engagement and pro bono efforts, which have been adopted by the firm across Australia. Last week, Reed finished this year’s “Darkness to Daylight Challenge,” an annual 110km charity run he helped establish. Over the last three years, the event has raised hundreds of thousands of dollars for its cause. It has come far from its modest origins and from Reed’s unassuming start in the law. He would much later on move to the firm’s human resources and industrial relations group, where he established an immigration practice. He no longer practices in these areas, but he says he found the work very interesting and satisfying. Throughout his career, however, Reed was always looking at ways to help those in need. “From very early on in my career, I was volunteering at evening advice sessions for a local community legal centre and got involved in setting up an office-wide World Vision sponsorship scheme at Morris Fletcher & Cross,” he says. The World Vision program still runs nationally at MinterEllison, although in a much more sophisticated way. Reed says that after about five years at MF&C, he left to find a way to focus on those kinds of activities. This is how he ended up in Japan. In the country, he found himself with around a hundred people from many corners of the world on the American Indian Movement Sacred Run. The run that year covered the length of the country to commemorate the 50th anniversary of the dropping of the bombs on Hiroshima and Nagasaki. This experience would stay with him. “When I returned to the firm, I had that experience always in the back of my mind and often told stories about it. 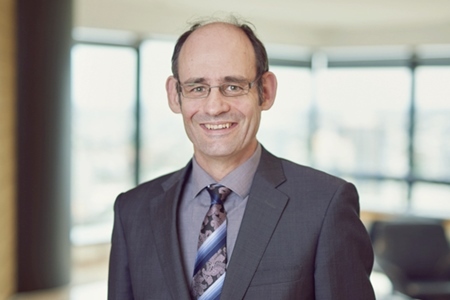 After a few years, I was fortunate to be asked to play a major role in establishing a community investment and pro bono program in the Brisbane office and to then develop and manage it full time,” he says. In his role, he says he always remembers the “Sacred Run” and how a group of people can have a positive impact. “From the Sacred Run, I learnt about running to carry a positive message; running not as a competition but as a collective where each person does the best they can, and always with a higher cause in mind,” he says. 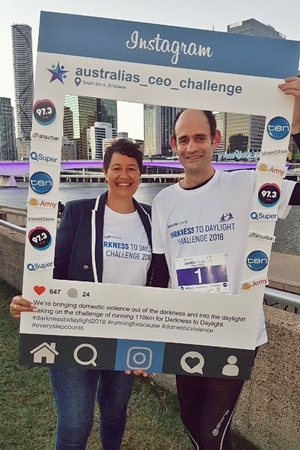 “From the early days of our community investment program, we have been involved with Australia’s CEO Challenge (ACEOC), an organisation which focuses on workplaces to assist them to respond to and raise awareness about domestic and family violence. 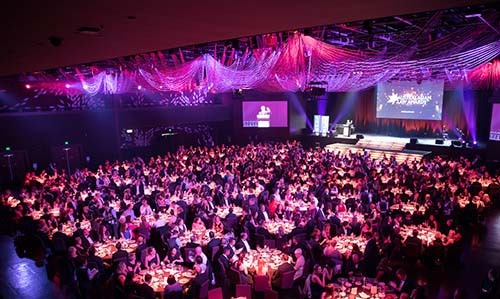 This year, more than 2,300 people participated in the event, raising more than $108,000 to help fight domestic and family violence. Since 2016, the event has raised more than $400,000 for ACEOC. “The highlight for me is seeing how the event has grown so quickly. There are now over 2,000 people taking part, plus marshals, volunteers, organisers and supporters,” Reed says. Reed says he was inspired this year by the people who participated. All through the night and into the morning, people were running or walking – whether going solo to see how far they could get or being part of a relay team – carrying the candles which signified lives lost, he says. Reed is currently involved in coordinating a host of initiatives at MinterEllison. That includes the firm’s pro bono legal clinics, internal fundraising trivia night, and high-school student mentoring. What Reed likes about the firm’s social responsibility program is that it looks at areas of greatest social need, forms community partnerships with relevant organisations and leverages the firm’s diverse talent base and resources to make a positive, effective and informed difference, he says. Outside the firm, Reed has also been involved in giving back to the community through law. He was the president of the management committee of LawRight, which was formerly the Queensland Public Interest Law Clearing House, and the chair of the Queensland Law Society’s Access to Justice and Pro Bono Law committees. He is the current deputy chair of the ACEOC. What strikes him a lot of times, however, is the fact that he always finds a willing hand to help. That’s particularly true inside the firm, he says. “I am always in awe of the way in which our people enthusiastically embrace our community engagement activities,” Reed says. For his services to social welfare programs and the law, Reed has been recognised with a Medal of the Order of Australia, which he received from the Queensland governor, the Honourable Paul de Jersey AC, at an investiture ceremony at Government House on the day of this year’s run. And it’s not hard to start giving back, Reed says, even for the legal profession, which tends to be always busy.